Besides Casinos, the Resorts World Sentosa (RWS) also boasts many well-known dining establishments with a wide selection catering to different budgets. 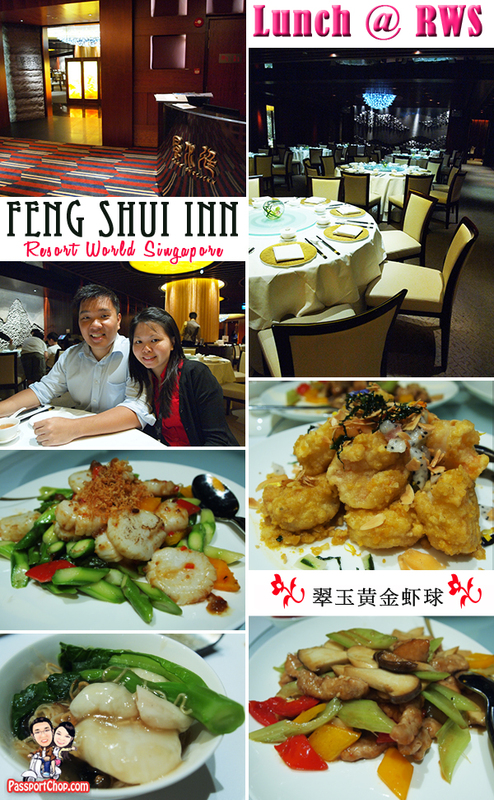 For those looking for good Cantonese food in a fine-dining environment, the Feng-Shui Inn (located at Crockfords Tower Basement 1M) is a good place to start. Notwithstanding the recent saga on the $1200 bill for a 1.8kg Sultan fish dish recommended by a restaurant staff, the meals at Feng Shui Inn are quite affordable for a fine-dining establishment. Order a set meal if available or ala carte from the menu and always double-check on the prices especially for those on seasonal prices (e.g. seafood) and you will avoid a shock when your bill is presented. The scallops and asparagus combi cooked with XO sauce is a must-try ($39 for a medium portion – for 3 -4 pax) and the prawn dumpling noodles ($27 – medium portion) is very fresh and yummy. One of the highlights of the restaurant – golden crisp prawn balls cooked with wasabi ($39 – medium portion) was unfortunately very disappointing – too much flour was used for the outing coating of the prawns resulting in a lack of crispiness. The most unique dish in Feng Shui Inn is perhaps the Peking Duck served with Mexican Buns (Half Duck – $35). These Mexican Buns are actually sweet po lo buns and tasted good with the crispy Peking Duck skin. 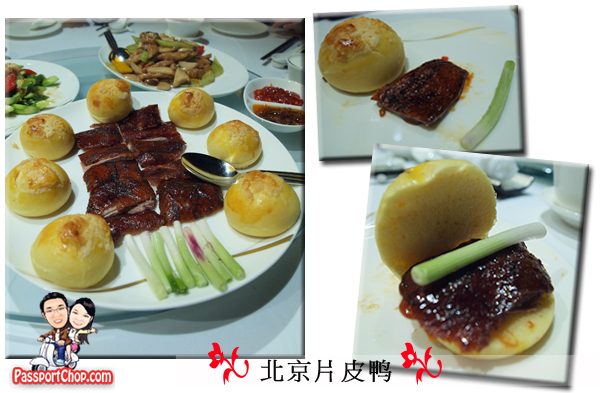 Do note that this dish only offers the duck skin and not the meat (which was typically served in another manner e.g. cooked with rice, depending on the order). Besides the food, one other factor which attracts patrons to this restaurant must have been the ambiance – as food here is relatively more pricey compared to other RWS restaurants and cafe, it is typically less crowded and this exclusivity does guarantee you faster sevice and a more enjoyable dining experience. There are also 4 private dining rooms which is equipped with a mahjong set and table, if the casino games are not already exciting enough for you. Feng Shui Inn’s new menu is available for download here. If you are planning to dine at Feng Shui Inn, you can make your reservation below! In fact working in F&B line service is very important..Somemore they are those high class restaurant at RWS.By giving such a kind of service is really a disgrace for the resort & their company..I suggest they should go restaurant management school for a training before they start work..